 Chief Superintendent Charles Wycliffe (Wycliffe and the Last Rites, 1993, etc.) investigates the 15-year-old death of Cochran Wilder, black-sheep son of a member of Parliament, whose skeletonized body has been uncovered in the sand dunes of a Cornwall beach by a violent storm. Six teenagers spent an unauthorized weekend at a nearby beach house when Wilder disappeared; now in their 30s, all still living in the St. Ives area, they're questioned at length by Wycliffe and sidekick Kersey. After the corpse's discovery hits the news, some members of the group--and, strangely enough, the police--receive an anonymous, vaguely threatening postcard. 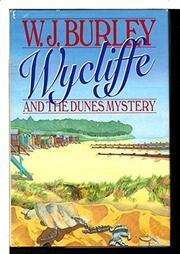 A suicide and a murder (of reclusive eccentric Henry Badger, uncle of one of the weekenders) add up to tough going for Wycliffe, whose intuitive powers are at low ebb in this outing. Intriguing at the outset, the story begins to sag as the author struggles to integrate the old killing and the new, and to animate his rather dreary characters. A workmanlike but drab and sometimes clumsy addition to Burley's series of procedurals in the British tradition.